Those look very yummy! It sounds like a fun day. What are Martha Washington balls? It sounds interesting. Oh, yum! I am curious about the Martha Washington balls too! We make these. 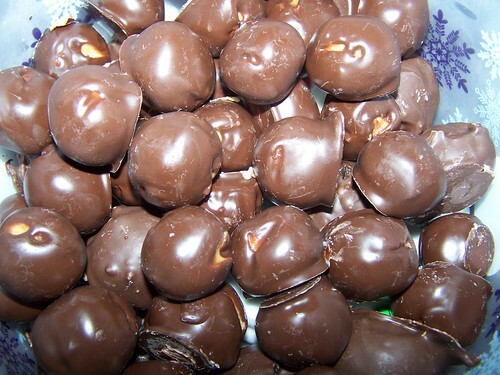 We call them buckeyes. No church here today either. Snow storm. Amy is on her way back to Houston. She was here for work for a few days. John wants to know where the gravy and biscuits are …to go with the sausage and eggs? LOL We have enough food in the refrigerator to have left-overs for a week. Today was supposed to be our Christmas dinner at church, so I had to put it all in the freezer. Take care and stay warm!